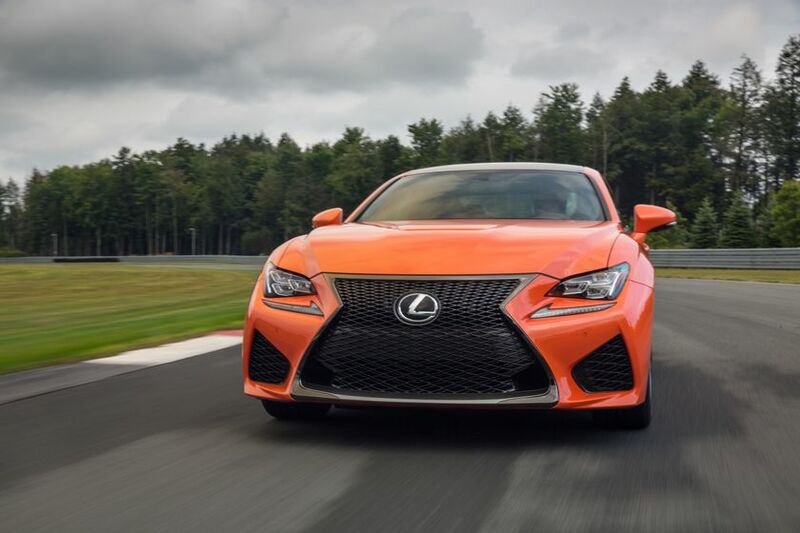 (TORONTO, ON – October 03, 2014) The all-new, 2015 Lexus RC F adopts the best of the tuning and technology that went into the Lexus LFA Supercar to create an authentic high-performance coupe. Fully capable of running on a racing circuit, the Lexus RC F is for those ready to immerse themselves in pure driving pleasure. And with two models – both generously equipped and priced below $90K – this exceptional coupe is ready to put a smile on the faces of all who drive it – on the road or on the track. By no means does the base RC F offer basic features and technologies. This rear-wheel-drive high performance coupe includes many features designed to deliver track-worthy performance and handling for a thrilling experience behind the wheel, coupled with aggressive, sporty styling. Performance features include: A uniquely tuned sport suspension; Brembo brakes; 19” wheels with performance tires; speed-activated rear spoiler; and more. Other notable standard features include: The Active Sound Control system; radar cruise control; rain sensing wipers; leather seating; heated and air conditioned front seats with seat memory systems; Blind Spot Monitor and Rear Cross Traffic Alert systems; Lane Keep Assist; the Lexus Pre-Collision System; Lexus “L” motif LED headlamps enhanced with the automatic high beam function; clearance and back-up sensors; a Mark Levinson Audio system; Navigation system; a power moon roof; and more. This model builds on the already impressive RC F, adding: the Torque Vectoring Differential; unique 19” forged wheels; carbon fibre trim and a carbon fibre roof and spoiler for weight reduction. The 2015 Lexus RC F goes on sale later this fall at Lexus Dealers across Canada. For more information on features and specifications, visit www.lexus.ca/rcf.